Former Bulls star Dennis Rodman could be facing jail time, after being arrested for DUI in Southern California, over the weekend. The Newport Beach Police Department says Rodman was pulled over late Saturday for a traffic violation. Police say he failed field sobriety and breathalyzer tests. Rodman was also on probation, making jail time a possibility. His agent says he plans to check into rehab, this week. 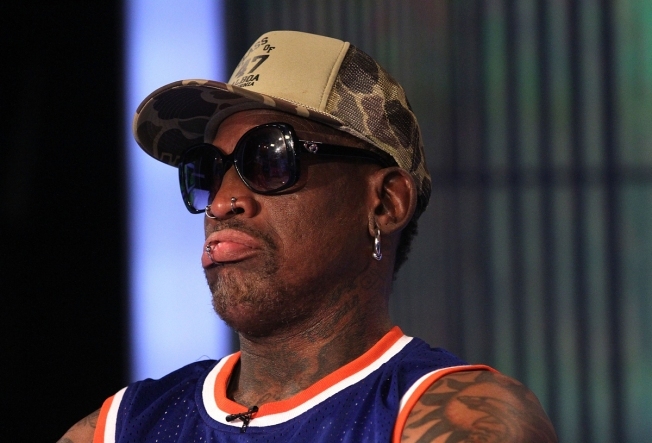 Rodman's agent, Darren Prince, tells The Associated Press that Rodman checked into Turning Point Rehabilitation Center in Paterson, New Jersey, on Wednesday to deal with his longtime struggle with alcoholism. Rodman was arrested in Southern California late Saturday on suspicion of DUI after being pulled over for a traffic violation. Newport Beach police say Rodman failed field sobriety and breath tests. This is Rodman's second time in rehab. He spent three weeks at Turning Point in 2014 after returning from North Korea, where he organized an exhibition basketball game involving retired NBA players for North Korean leader Kim Jong Un. Rodman said he needed to decompress from the trip.